There are three main reasons and a few observations. 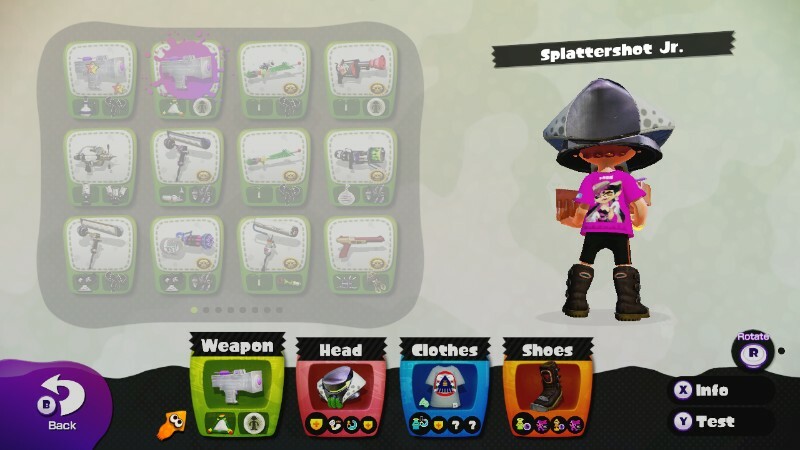 I've picked Callie's team seven times so far, and Marie's team eight times. However, while fewer in number, Callie's picks were much more significant and distinct for me. Callie was the Squid Sister of Art and Naughtiness. Those are philosophically much more important than when I sided with Marie on irrelevant crap like Patrick over SpongeBob and Pizza over Burgers. So I don't take siding with Marie more as an indication of much. Remember what Splatfest taught us about Quality vs. Quantity. Callie will be pink/purple ink. This is far superior than whatever shade of green Marie will have. 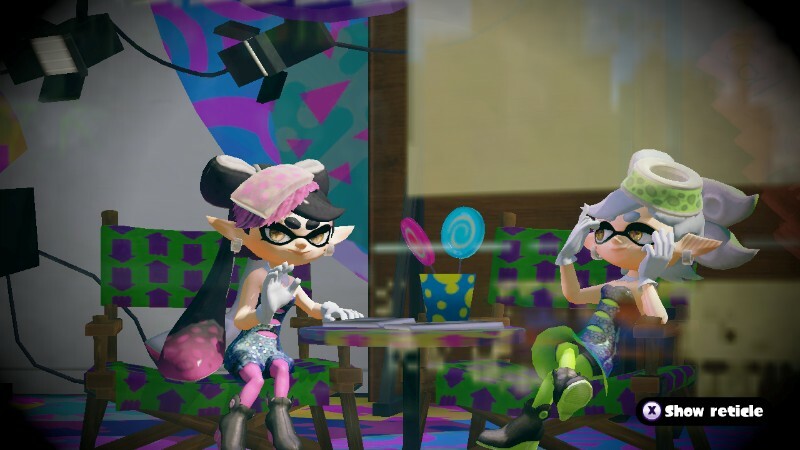 Callie is still waving to the adoring fans, while Marie coldly walks backstage. I'd stick around and sign autographs for y'all if I were on-stage. We put cultivating relationships with our fans to be a priority at KoopaTV! We even do Requests! 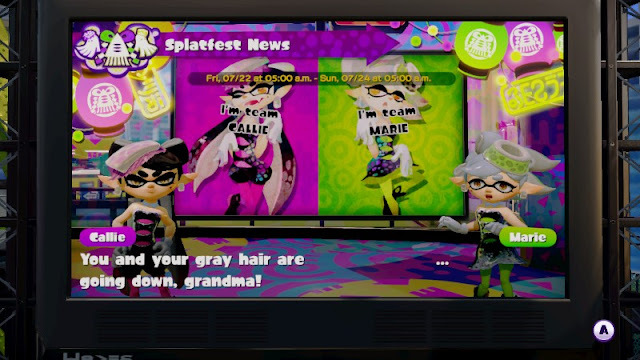 The last reason I have was inspired by a comment Callie made: Marie has grey hair. Now, there's nothing wrong with that (my beard is grey, after all), but Callie and Marie should be around the same age, right? And Callie has long, flowing black hair. (Or tentacles or whatever.) Why has Marie greyed out? Callie calls it hair, so it's hair. I'm triggered by grey hair where it doesn't belong. DarkZero's sprite sheet. Here's Sonikku's. And here's A.J. Nitro's, the only one of these who wants credit. Whoever he is. Those incompetent people at Nintendo gave me grey-to-white hair in-game for TWO GAMES IN A ROW. It's why I will never like Super Mario Bros. 3 or Super Mario World. ...So, yeah, I don't want to be associated with that grey stuff. So, Team Callie it is. Do you agree with Ludwig's pick? Are you part of the Save Splatfest crowd? Let KoopaTV know your thoughts, and Ludwig will reply sometime. For now, he's watching DonCon, which'll be a theme for this week. Splatfest may be over, but another Splatoon institution, the Global Testfire, is not. Ludwig's hair sprites’ colouring is one reason he apparently prefers Hotel Mario over Super Mario World! 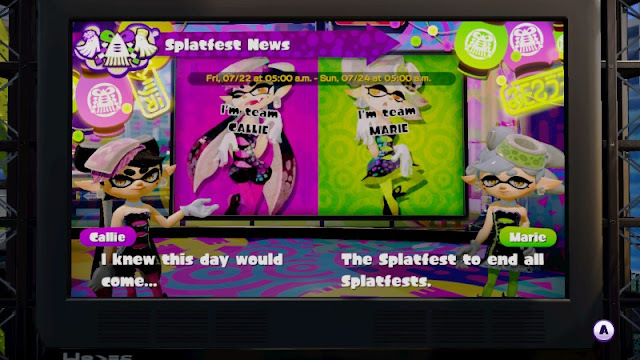 It appears that Marie winning this Splatfest means she gets to show up in Splatoon 2. 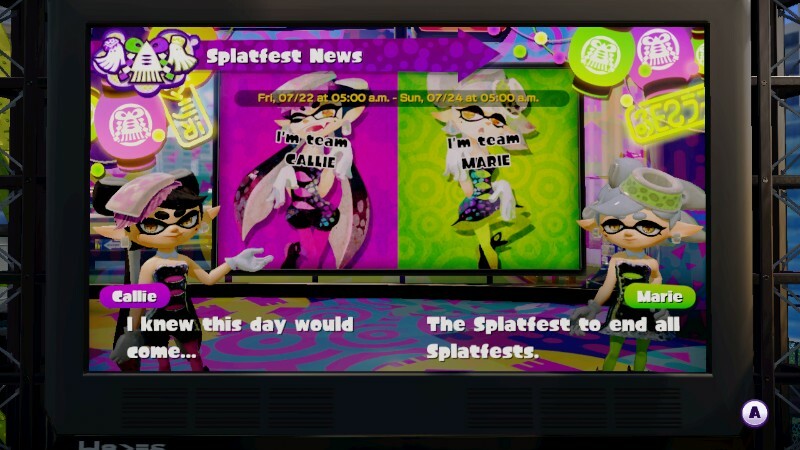 One year later: Splatoon 2 brings Splatfests back. The article series returns! Callie's loss to Marie here changed Splatoon 2 dramatically. Do you realise no one cares? That's a factually incorrect claim on your part. KoopaTV is the only site I know that analyses the themes for Splatoon Splatfests like this. And the Splatoon fanbase likes it. I didn't know Splatoon had a fanbase. https://www.nintendo.co.jp/ir/en/sales/software/wiiu.html Splatoon has amazing sales. It has a ton of fans. And a ton of...artwork, too. People get into it. You saw the screenshot of Marie leaving the concert? Think about that. There's enough of a fanbase that people actually attended a concert for Splatoon. And there are multiple of these. Callie and Marie broke the time continuum by going to the past to make their concerts for humans. The humans then debated who is better. Hence the fax of their present. You think they actually went back in time after Team Past won? It stats somewhere towards the middle of all those comments so be sure to check the older comments first. Also I wrote about the possibility of Callie having ADHD in the comments here: https://miiverse.nintendo.net/posts/AYMHAAACAAADVHlJLz0BfA Note this is much older that the previous link I gave. For the Camp Miiverse thing they've been holding, Marie has won every single time by landslides. And that's based off of popularity. Marie is going to win popularity. I liked your analysis, but it lacked a...conclusion. Team Callie shall be victorious in the Splatfest to end all Splatfests. Callie represents everything good about Splatoon. She will make Inkopolis great again! ...I'll hold off on awarding you a Truth point. Depends on the result.